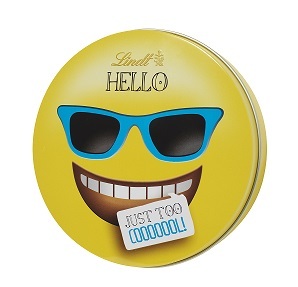 Say HELLO to the all-new collectable LINDT HELLO EMOTI tins Perfect for snacking, gifting and collecting. The kids will love them! Say HELLO to falling in love; to that super cool feeling; to those happy moments. 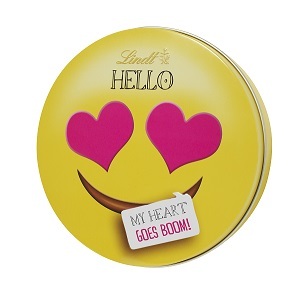 Say HELLO to the LINDT HELLO EMOTI tin. Share in the happiness and add a little something special to every occasion, whether it be a birthday, a picnic, a movie night or just because it’s Monday. 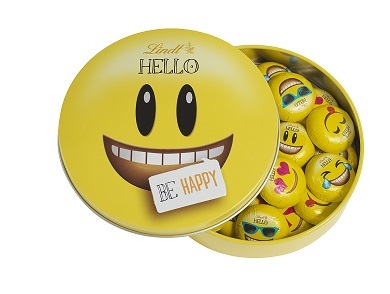 Available in 3 designs, these all-new collectable LINDT HELLO EMOTI tins are filled with 25 individually wrapped MINI EMOTIS made from the finest LINDT milk chocolate. Whether you’re kicking back with the girls, looking for the perfect gift for a true chocolate lover or just feel like brightening someone’s day, we’ve got you covered. LINDT HELLO EMOTI tins 160g are available at any of our decadent LINDT Chocolate Studio & Boutiques or Woolworths stores nationwide for a recommended RSP of R164.95. Sandton City | Shop L76 | 83 Rivonia rd.